Do you suffer from obstructive sleep apnea (OSA)? Are you being awakened by your wife throughout the night because of your loud snoring? We can help! 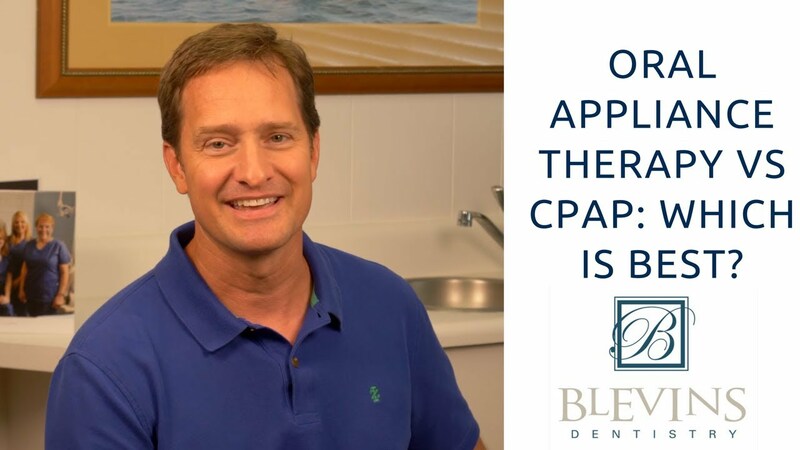 At Blevins Dentistry, we offer oral appliance therapy (OAT) to help OSA patients and those who snore constantly. Dr. Blevins offers an effective solution— a safe, effective sleep appliance for those who suffer from snoring and mild to moderate OSA. Many patients love this mouth guard! The appliance is similar to a sports mouth guard. It is comfortable to wear and not too bulky. For many OSA sufferers, the continuous positive airway pressure (CPAP) machine is a common treatment option. However, it is not the best option for some patients. Oral appliance therapy is a great alternative to CPAP therapy. The mouth appliance will hold the lower jaw slightly forward and keep the airway open while sleeping. This helps to prevent snoring, but also enables easier breathing without disruptions. Obstructive sleep apnea is a serious medical condition that requires effective, timely treatment. If you are interested in finding out whether or not oral appliance therapy is right for you, call Blevins Dentistry in Mullins, SC today. We look forward to providing you with a solution for your OSA and snoring problems.